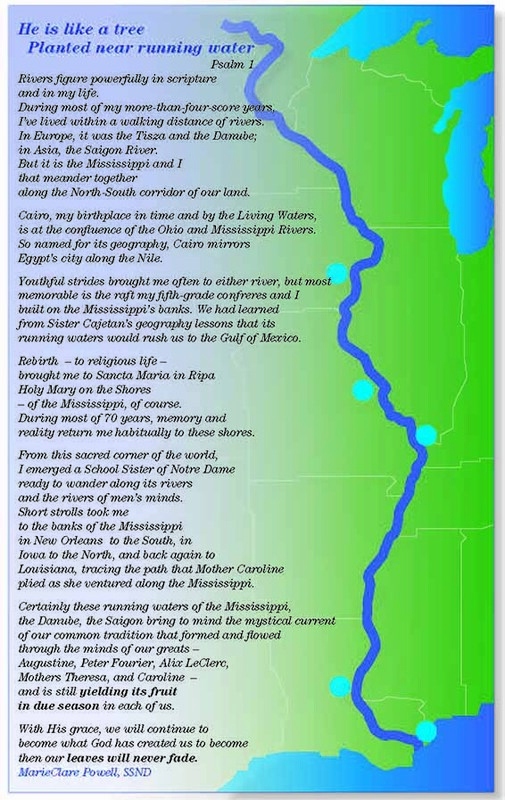 Inspired by the rivers that have figured significantly in her life, Sister MarieClare Powell, SSND shares a vocation reflection shaped to the path of the Mississippi River. Sister MarieClare, who made her vows in 1947, currently lives at St. Mary of the Pines in Chatawa, Mississippi, where she tutors students at a nearby elementary school. Sister MarieClare Powell is pictured above with some of the sisters from the Lovers of the Holy Cross congregation from Hanoi, Vietnam. 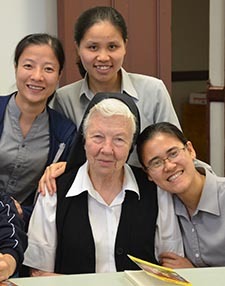 Sister MarieClare had been tutoring them in English at the SSND Sancta Maria in Ripa campus in St. Louis.